If high speed racing and big machine guns are something you enjoy, then may we suggest you immediately check out Death Rally? This game has already consumed a good portion of my day and I have a feeling I won’t be putting it down anytime soon. 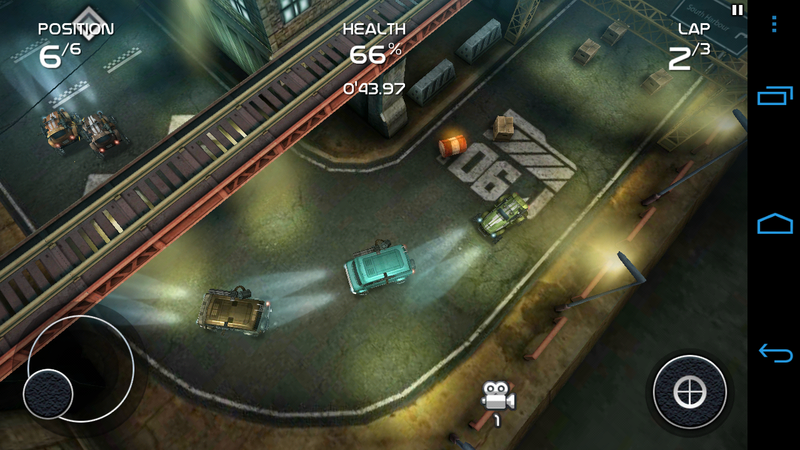 In the game, you race opponents from an over-head view and you have to be pretty good at multi-tasking because not only do you have to keep your eyes on the road, but you have to shoot and destroy your adversaries as well. Once you have a few wins under your belt, you can start customizing your cars with better parts and of course, bigger weapons. The game is a total blast and for being free, runs and looks exceptionally well. Doesn’t get much sweeter than that.